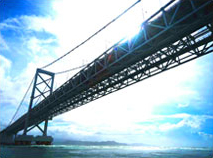 Brux Japan Co., Ltd. our company name is from German word,"Bruecke", that means bridge. We wish to be a bridge among Japan and world countries to exchange the technical information. We are happy to be able to assist the customers with our knowledge that is accumulated from long term technical support experience. Air-tube transport system from Aerocom GmbH & Co./Germany for the hospital, the hotel, the bank and etc. Thin flat stainless sheet/Japanese for metal stencil of electronics purpose. Our motto is speedy reaction and response for new technical theme and requirement of our customer. Actual technical field that, is always changeable, is needed to be flexible. We always meet these requirement. We serve that our customer is active with the newest technology and will collect the newest information for these purpose. We wish to be a good partner of the customer and it is our pleasure.